In December, 2011, Pope Benedict XVI announced his intention to canonize the Benedictine abbess Hildegard von Bingen and to appoint her a Doctor of the Church in October of 2012. A Doctorship is regarded by the Catholic Church as one of the highest honors it can bestow. The title recognizes individuals for special contributions to theology or doctrine. There are currently only 34 Doctors of the Church, including distinguished luminaries such as Augustine, Thomas Aquinas, and John of the Cross. Only three woman have been so honored: Teresa of Avila, Catherine of Sienna, and Thérèse de Lisieux. The first woman to be named a doctor of the church, Teresa of Avila, was recognized in 1970. Hildegard von Bingen will be the fourth woman doctor to be designated in a row. Hildegard (born in Bermersheimin 1098; died in Rupertsberg, 17 Sept 1179) was famous in her day as a mystic whose visions were widely known through a popular series of written testimonies. She began having religious visions at the age of 5, and she was presented by her family to a Benedictine order at the age of 14. She received approval from the church to begin writing down her visions with the aid of her assistant Volmar in 1141, at the age of 43. 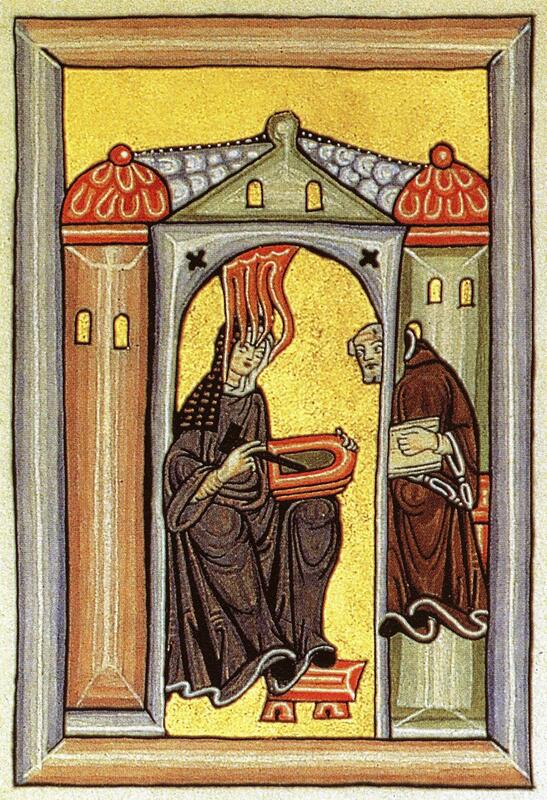 Hildegard earned an unusually high stature as a mystic, which was one of the few avenues by which women in the Middle Ages could achieve authority within the Catholic Church. Her fame made her an object of veneration, and she was a sought-after correspondent and adviser to some of the most important political and religious figures of her day, including famed theologian Bernard of Clairvaux and Holy Roman Emperor Friedrich Barbarossa, who offered her recognition and protection when she founded her own abbey. Hildegard is known by many today as a composer of early church music, which has been popularized by excellent recordings by artists including Anonymous 4 and Sequentia. Her monophonic composition is highly original and greatly affecting, employing idiosyncratic modal variations, not drawn from Plainchant, but personally devised to offer a musical commentary on the contemplative themes of her texts. The intimate dialog between her music and texts is perhaps most evident in her musical drama Ordo Virtutum, which dramatizes the Soul’s struggle with the Devil, aided by a series of Virtues. It is the earliest-known morality play of the Middle Ages. As with her lyrics, her prose is characterized by schematic, didactic allegory, which is periodically illuminated by moments of lucid, lyrical power. 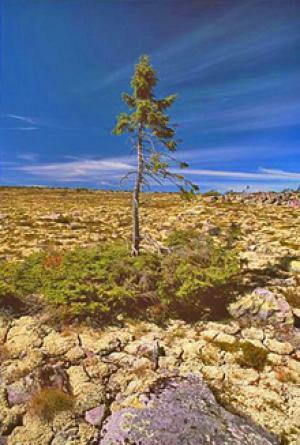 (1) “Hildegard of Bingen.” New Grove Dictionary of Music and Musicians. (2) Hildegard of Bingen, ed. by Matthew Fox. Book of Divine Works. Bear & Co. 1987.